What’s Next For ROKiT Williams Racing? The question everybody is asking after the Australian Grand Prix is what's up with Formula 1's third most successful constructor? It was quite apparent post, or maybe even before the two testing sessions in Barcelona in late February, that Williams would be dead last in the 2019 season. The start of the V8-Hybrid Era brought a lot of excitement for Williams, with the British team finishing the 2014 and 2015 season, in the third position in the World Constructor's Championship ahead of Ferrari and Red Bull respectively. The FW36 and the FW37 were monsters as once described by, then Chief Technical Officer, Pat Symonds. The cars were powered by Mercedes Engines and Power Units. All seemed to be on the up for the UK-based teams. 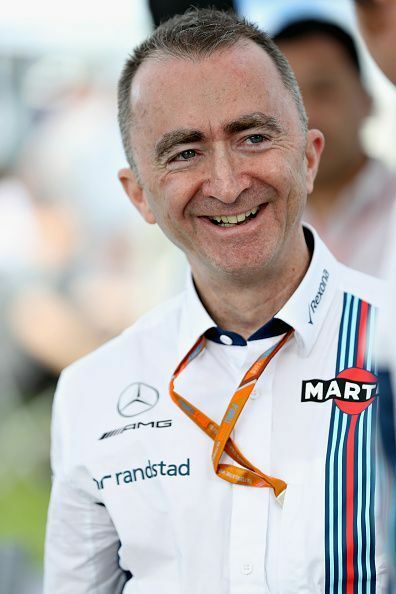 The appointment of Paddy Lowe seemed to be one that would put Williams back into the fight for best of the rest, after extremely lackluster performances in the 2016 and 2017 seasons. Paddy Lowe brought in a star-studded CV having previously worked for champions Mercedes and 8-time Constructors' Champions, McLaren. Yet, it became apparent by the Azerbaijan Grand Prix that Williams had fallen even further as they only had 2 points in the first four races of the year. Canadian driver Lance Stroll scored the team's first points of the season, putting his FW41 in eighth place, ahead of McLaren's Stoffel Vandoorne. The Italian Grand Prix saw Russian Sergey Sirotkin pick up his only point of the season, despite finishing 11th, after Romain Grosjean's Haas was deemed illegal pushing the Russian into 10th place. The race also saw Stroll picking up 2 points in 9th place. Williams finished at the bottom of the pecking order in the World Constructors' Championship in 10th, picking up a dreadful 7 points. Youth and Experience - The Way Forward? The Williams' team were hoping at the end of the 2018 season that the overhaul of the driver line up would change things up, with Lance Stroll moving to Force India (now, Racing Point F1), after his father, billionaire Lawrence Stroll bought the team out of administration, and Sergey Sirotkin not having his contract extended after poor performances in 2018. The team decided to bring Formula 2 champion, George Russell to the team alongside Robert Kubica, a driver whose story needs no telling. Kubica would be driving in Formula 1 for the first time since his rallying accident in February 2011. Kubica was even used in a few practice sessions over the course of 2018 in hopes that the veteran would bring in more insight as to why the car wasn't performing and provide more information to Paddy Lowe, about the car setup. Coming back to the present, the shakeup Williams was hoping for has put them further behind in terms of performance, with Williams failing to show up for the first two days of testing in Barcelona, due to slow developments back at the factory. The two-week break between the testing and the Australian Grand Prix didn't bring much for Williams, as the two drivers were at the bottom of the grid from Free Practice 1 through to the main race. Kubica suffered damage on Lap 1, putting him almost a lap behind lead Mercedes driver Valtteri Bottas. Russell had better luck but still didn't make it off the bottom barring Renault's Danny Ricciardo, who suffered a freak contact with the grass on the right of the main straight on the burst down to Turn 1. The end of the race saw Kubica finish last having been lapped by everyone and thrice by the leading 6 cars, while Russell found himself lapped twice. After the race, Russell said that the performance deficit was expected by the team as they were going to use the first few Grand Prix as test sessions for their development, also stating that there was a fundamental problem with the car. The car wasn't the only place where things went wrong at Williams. Paddy Lowe had been asked to take a leave of absence by the management at Williams after some apparent problems within the team, and Lowe failed to produce a competitive car, with most of their developments being an amalgam of the aero of Red Bull, Ferrari, and Mercedes. There have also been reports about the unhappiness with team boss Claire Williams, who took over from her father, Sir Frank Williams in the summer of 2012. There have been many reports over the years that Claire Williams lacked the vision for the future, with constant pressure on getting results at the earliest. Things have never looked worse for Williams, the drivers have declared that things are still being sorted out by the technical team and results won’t be any better than they were at the Australian GP. Claire Williams had already cleared things up with the media that the team wouldn’t become a B-team or junior team for any of the top teams and will fight to become dominant yet again. She also stated that she would go down fighting, but would never quit Williams knowing that something more could’ve been done. As for the future, things can only become better from here on out. The team has one of the greatest prospects in George Russell, who is set for greatness. Also for Williams, having a rookie-veteran in Kubica means they have experience and the willingness to fight for his place. Williams has also refused to throw Paddy Lowe under the bus for the problems with the car. Things may not seem up right now for Williams, but we definitely hope there’s more to look forward to in the coming years from the British giants. 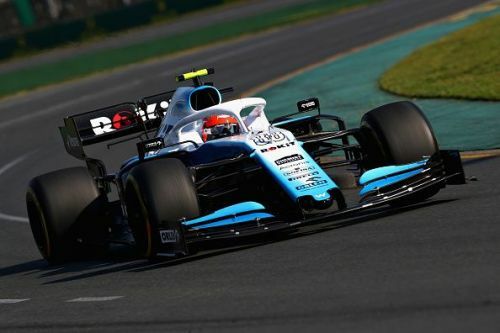 There’s no apparent fault in the team whatsoever from the management point of view, nor is the driver line up mediocre, with F2 Champion, George Russell, and the extremely talented Robert Kubica, who showed in his days with the BMW Sauber team (now, Alfa Romeo Racing). The only outright reason one could have for the bad performances is lack of ideas in the design department, having most of their designs based off of the top runners and even Renault and Haas. It is also discernible that the ideologies of the design team might be good, but as a complete package the aero of the FW42 is just not working and might have set the team back by almost 4-5 months. The design team had to put in a lot between testing and the Australian GP just to make sure the car was legal. We can be sure that the sleepless nights back at the factory aren’t over just yet.